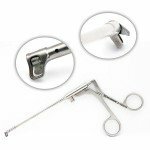 These are only a few of examples of our extensive line of German-made, American-made and high-quality sinus surgical instruments. Don't see what you're looking for? Browse our website, use the search function, or contact an Instrument Expert for more information! 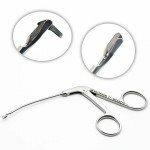 Bipolar Bayonet Forceps Non Stick	Compare to Stryker*, Silverglide*, Codman's* Mallis, and Integra's* Buz Lite. 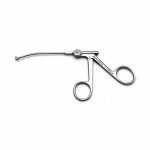 Bipolar Surgical Cut-Coag Scissors	Bipolar Cut-Coagulating Scissors in multiple tip styles. Ideal for coagulation during and after cutting, in pinpoint and zones. Excellent in use for Bipolar RF Dissection Tonsillectomy (BRDT). Dennis-Probe	Designed to perform bipolar submucosal coagulation. 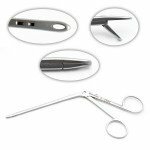 Pencil grip for easy handling with a bayonet needle mount for easy intranasal view. 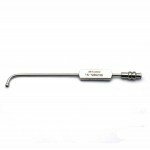 Laryngology Instruments	Operating laryngoscopes, chest supports, laryngoscope handles, fiber optic and light guide carriers, cannulas, suction tubes, and more. 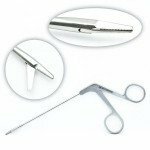 Scissors	Scissors including supercut, tungsten carbide, ceramic, dissecting, iris, strabismus, face lift, dorsal, rhytidectomy, tenotomy, platysma, nasal, mayo, metzenbaum, operating, and more.